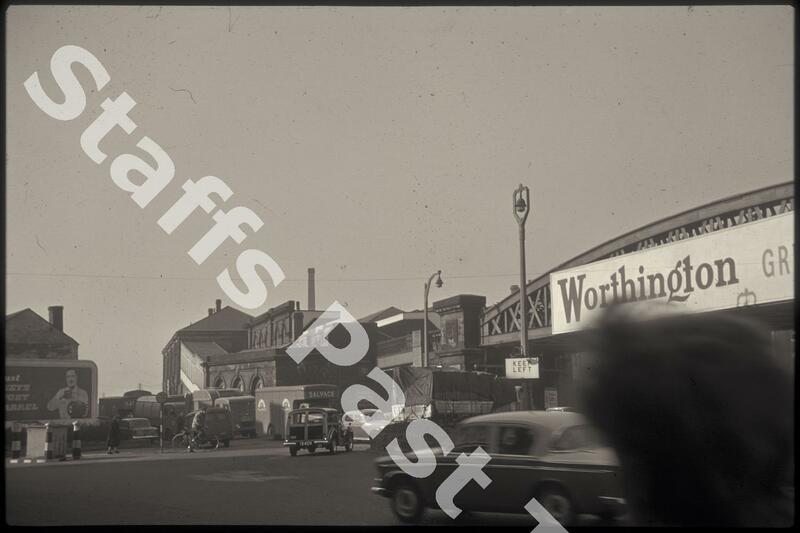 Description:This photograph was taken from Times Square, looking towards Longton railway Station and the bridge over King Street. 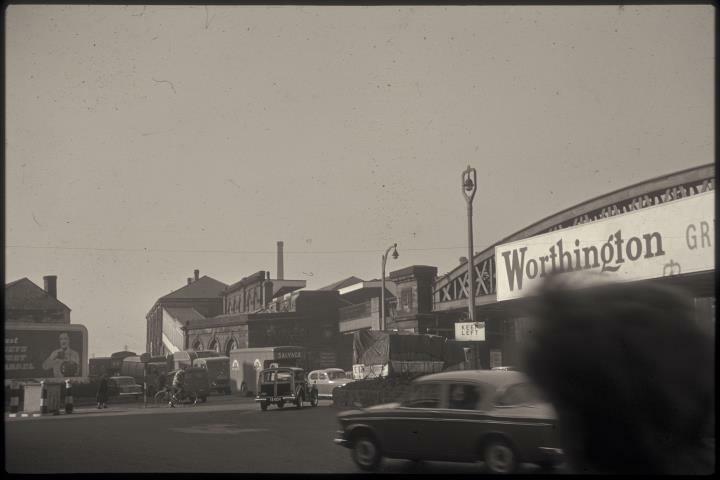 The station was built on an embankment with a cantilever bridge carrying the line to Derby over the intersection at the bottom of King Street. The station buildings and platform canopies have been removed. Coming down Baths Road is a line of council "dustcarts" and salvage lorries. They have probably come from the "Stoke on Trent Refuse Destructor" which was at the end of Baths Road, where there are supermarkets today.